Born on 3-18-1928. She was born in Lackwanna, NY. She was accomplished in the area of Historian. She later died on 12-24-1983. Ms. Allen was the founder and executive director of the Black History Foundation of Buffalo and Erie County for 27 years. She was also active in the NAACP. Her husband was Rev Adolphus Allen the Pastor of Mount Zion Baptist Church in Irving, New York. 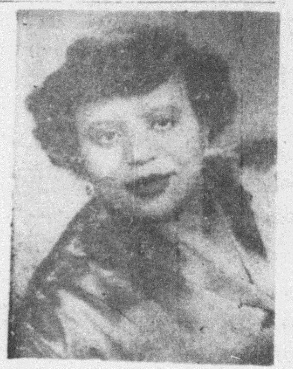 She was awarded the William Wells Brown Award from the Afro American Historical Association of the Niagara Frontier in 1977. The award was given for her work over a 20 year period in sponsoring the annual African American History Week programs in the Buffalo area. She was also a key organizer for several Black History month celebrations in the city. The foundation established a scholarship fund in her name. The Afro American Historical Association also presents an award bi-annually in honor of Ms. Allen and her work to preserve African American history. Ms. Allen was only 55 at the time of her death on December 24, 1983. She is buried at Forest Lawn cemetery.